Have you installed Spocket but aren’t exactly sure what products to add to your shop? You’re definitely not alone. We’ve received this request from hundreds of Spocket stores and decided to take action. That's how we released Premium products 👑 on March 5th, 2018. 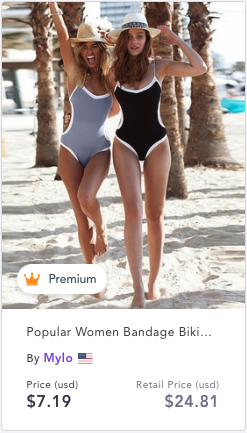 Premium products are Spocket's curated list of quality products, which were designed to give you the highest quality options to choose from. What makes a premium product special? Since these products are not offered to free users, there is less competition with other stores. We’ve ensured our premium products are the hottest sellers and perform well. Spocket products are discounted anywhere from 30-60% off, however premium products are always at the highest end of this range. Premium products must meet our fastest shipping and processing requirements, ensuring the smoothest turnaround for your store. Our product discovery team regularly adds new products to the list of premium products. How do I find premium products? If you have any questions regarding premium products, or other concerns, you can find more help here.